The United States Postal Service® introduced Certified Mail® in 1955*, which means that 2018 marks the 63rd anniversary of a service that’s been used by millions to transmit sensitive and important information across the country. During those six decades, communication has been revolutionized by the instant and affordable access provided by digital technology. But even in a digital age, Certified Mail is still relevant. This is true most of all for those who require physical proof of mailing, including many of the clients we serve. We have been providing technology to help businesses optimize the Certified Mail process since 1982, and we are the nation’s largest private producer of Certified Mail. Following are three reasons why this service will likely remain the gold standard in secure, verifiable communications. Transparency has always been the primary benefit of using Certified Mail, which gives the sender every opportunity to communicate, short of showing up in person, and allows the recipient to get the message that this is serious—this one matters. Telling someone the truth is an act of respect. And a collections notice or tax statement is an honest communication about what’s true. The sender is able to say, “This is important, and I am keeping you informed.” Certified Mail ensures that this communication happens with every opportunity for the recipient to be informed and take steps to correct the situation. The transparency of Certified Mail is also found in documentation: Every step of the process is tracked and catalogued, yielding a reliable record that holds up in court when the sender is asked for proof that a mail piece was sent or received. The second reason why Certified Mail remains an effective tool for businesses around the country is that there has yet to appear a viable digital alternative. A paperless way to achieve what Certified Mail does would have to invent new methods of certifying a recipient’s identity and verifying receipt of the communication in a way that would hold up in court. 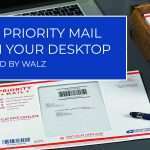 Finally, Certified Mail will be needed for years to come because it is embedded in civil codes across the United States, from the federal level to your local municipality. If the laws changed all over the country—and if the courts upheld the changes—then notification could become an entirely different process, employing digital media rather than envelopes and Green Cards. But because of its prevalence, and because it’s so reliable, this is one 60-year-old service that’s not going anywhere soon. “Significant Years in U.S. Postal History.” United States Postal Service, n.d. Web. 23 July 2014. http://about.usps.com/publications/pub100/pub100_076.htm.